The Professor Layton series isn exactly full of surprises at this point. The developers work with a familiar set of pieces and make them come to life beautifully. Youe got your titular professor, his young assistant Luke, and a bunch of zany supporting characters. And, of course, youe got your puzzles. Dozens and dozens of puzzles - from maths teasers to squirrelly linguistic trickery, to the dreaded sliding-block conundrums. Theye all here in the latest Layton adventure, Professor Layton and The Spectre's Call. But that not to say that the puzzles have become stale. No, in fact, the amazing thing about the series is that the developers keep coming up with fun new ways to challenge players. The simple puzzles - gorgeously rendered with a compelling hand-made feel - are almost as tough for experienced Layton fans are they are to newcomersut are accessible to all. This fourth Professor Layton is a prequel, going back to the adventure where Layton and Luke made their fateful first meeting. 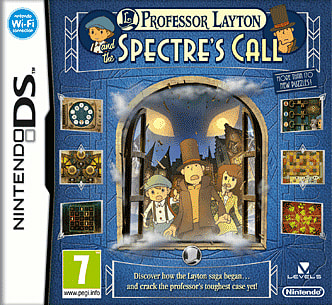 With his research assistant Emmy, Layton heads to a remote English village called Misthallery that tormented by a huge, mysterious spectre. This ghost visits in the night and wrecks the local buildings, and Layton job is to figure out who behind it. His first tantalizing clue: Luke is somehow able to predict when and where the spectre will appear. And with that, the mystery is afoot. The people who live in Misthallery are the usual bunch of friendly weirdos who are united by one thing: their obsession with puzzles. Theyl be happy to tell you which way the criminal ran, but only if you can tell them, for example, how to guide a hungry cat out of a little maze, using only three fish. Sure, it nuts, but everything is so cute and enjoyable that only a true spoilsport could find room to complain about the silliness. 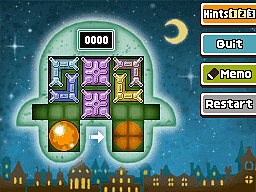 Another recurring feature of the Layton games is the professor trunk, which is filled with mini-games that unlock more and more of their secrets in the course of solving the mystery. The games run the gamut from simple to fiendishly tricky. The most straightforward is the puppet theatre, which asks players to fill in the blanks of the script for a puppet vignette so that the plot makes sense. It a fine bit of fluff, if unmemorable. There also an aquarium game, in which you must guide a fish around its tank by strategically redirecting its path with big bubbles, and Mouse Alley, a mice-themed take on shooting-gallery games like the old Hogan Alley. The most interesting of the mini-games is a train game in which you must lay track that will guide a locomotive through its route and to a terminal. Sounds easy enough, except that the train route is bedevilled by close encounters with trees, cars, and other trains. Threading the needle to find the right path to the finish requires an agile mind. Because not everyone wants the ultimate challenge, Spectre's Call offers players a number of lifelines. 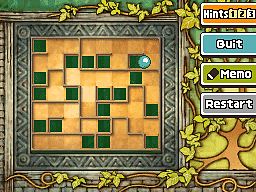 There a generous hint system (activated by spending int coinsthat are hidden throughout Misthallery) that can give you a nudge in the right direction when you most need it, and not every puzzle must be solved in order to finish the game. Touches like this make the game enjoyable for a wider range of ages and play styles. This series may not be full of bold new nnovations,yet it hasn become repetitive. Like its predecessors, Spectre's Call is made with a rare attention to detail and quality. Within their formula, the developers do their best to keep the game vibrant and interesting. More often than not, they succeed.